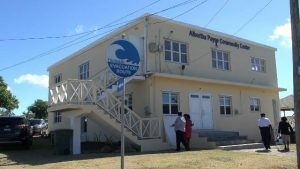 NIA CHARLESTOWN NEVIS (December 04, 2017) — A project for improving disaster resilience on Nevis, funded by the government and people of Japan, was recently officially closed at a ceremony to mark the occasion at the Albertha Payne Community Centre in Bath Village. 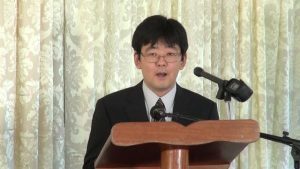 In brief remarks, Mr. Hideaki Fujiyama, Second Secretary at the Embassy of Japan to St. Kitts and Nevis said his country is committed to helping vulnerable small island states like Nevis because of their vulnerability to the impacts of climate change. “They are very important for countries such as ours, island states, which are most vulnerable to the negative effects of natural disasters such as hurricanes, typhoons and tsunamis. “It is for this reason why my government remains committed to these efforts and welcomes opportunities for collaboration in this area with state as well as grassroots and community-based actors,” he said. The Japan Embassy official, noted that $995,722.00 was made available to the Nevis Disaster Management Department (NDMD) in March 2017, through Japan’s Grant Assistance for Grassroots Human Security Projects, for construction and renovation works to improve the island’s disaster resilience. 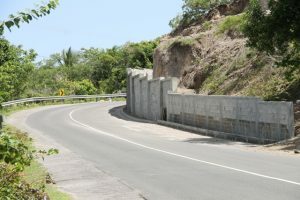 Under the project, 10 community centres throughout the island were renovated, a 300 feet retaining wall was constructed at Fenton Hill, to mitigate the occurrence of rock fall hazard and a 300 feet rock wall was constructed for reinforcement along the waterway in Stoney Grove to mitigate flooding and flood damage to property. The project was completed four months ahead of schedule and within budget. Mr. Fujiyama, commended the Director of the NDMD Mr. Brian Dyer, his team and other stakeholders for what he described as their efficient execution of the project. He said the project will contribute to a greater lever of disaster preparedness and enhance the wellbeing of the residents on Nevis. 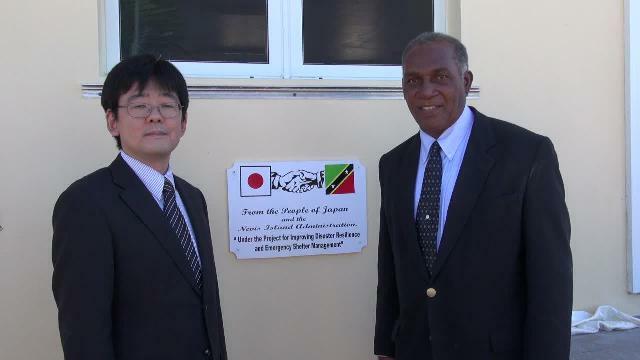 The Second Secretary, used the opportunity to those present of the importance of the traditionally warm relations enjoyed between the government of Japan and St. Kitts and Nevis. Meantime, Mr. Brian Dyer, Director of the NDMD described the project as a pioneering one and the monetary injection into the island’s economy as significant and timely. He stated that the success of the project has provided a template for additional projects from the department and one other departments can emulate. Mr. Dyer, thanked the government and people of Japan for the grant assistance. 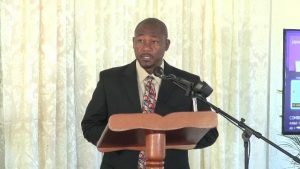 He said the project demonstrated how government ministries and interdepartmental cooperation, collaboration and dedication worked together to reduce risks and enhance resilience on Nevis.